Backcountry&apos;s entire namesake line includes skis, gloves, and more. TREW and Flylow are known for their bomber bibs that dedicated backcountry skiers swear by. 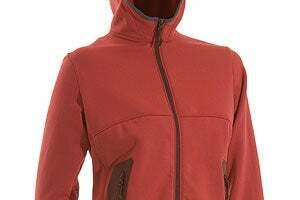 So it comes as no surprise that each brand has started working with other radical brands to make better-than-ever jackets and bibs specifically tailored for backcountry ski touring. This season Oregon-based TREW created a backcountry-specific kit with CAPOW! guides, a ski guiding operation based in snowy Revelstoke, B.C. Flylow, on the other hand, has roots in the Colorado high-country, and worked with Utah-based online retailer Backcountry to design a full touring kit made with Polartec NeoShell fabric. SKI took both kits to notoriously wet Whistler Blackcomb and then to the Colorado Rockies to put them through the wringer. Here&apos;s our take on each. Hey, where&apos;d my watches go? 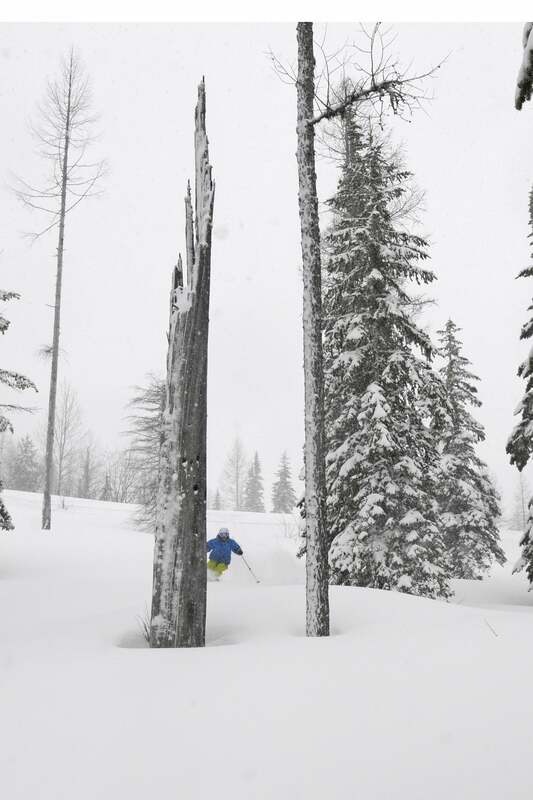 TREW used Dermizax NX fabric to build both the jacket and bibs, which met and exceeded expectations in the freezing rain of British Columbia and blustery snow of Colorado without compromise. The jacket also incorporates fabric that stretches in key locations, and the bib uses flexible buckles on the suspenders to prevent chafing in the skin track. The kit also withstood strenuous abuse from weather and wear during long days in the Colorado backcountry. The jacket&apos;s roomy interior pockets successfully accommodated skins during descents, and the dedicated avalanche transceiver pocket in the bibs keeps a beacon in the perfect spot on every ski tour. The Dermizax NX fabric is so breathable and comfortable, we forgot the jacket had pit zips during one tour. While the colors might be designed for visibility, a critical factor for guides, we have to admit that we were turned off by the Sunrise color of the TREW CAPOW! jacket. It doesn’t match the toffee bibs, which aren’t the most inspiring color either. But if backcountry skiers are looking to distinguish themselves from the resort crowds, this interesting colorway may be just the thing. The Backcountry x Flylow Grizzly Gulch Jacket and Mill D Bibs. The other key features of the Backcountry x Flylow kit include well-designed retention systems in the bib’s chest pocket for ski touring skins. Two straps with low-profile hooks can be used to hold folded skins close to the body during descents, which prevents glue freezing issues that sometimes occur in internal jacket pockets. One drawback of the Backcountry x Flylow collab kit: it just didn’t hold up well in wet snow and a "wintery mix" of freezing rain nearly as well as the TREW CAPOW! jacket and bibs. The NeoShell fabric became saturated waiting for the Whistler Gondola in 38-degree rain, and then froze at mid-mountain, negating the suppleness of the fabric entirely. Both jacket/bib combos are perfect for the regions they were designed to perform in. If you’re in the Pacific Northwest, TREW’s CAPOW! kit will hold up to all types of weather and long days in the skin track. The Backcountry x Flylow kit is made to excel in drier conditions, and, we have to admit, looks better overall. Our testers still wear both kits regularly, so there&apos;s no real loser—both do what they are designed to do, and do it well.